What Do You Want To Know About The Tesla Model S P85D? I've somehow persuaded Tesla to give me a brand spankin' new Model S. But not just any Model S. The D. And not just any D. The P85D. Yeah, the one that causes mild-mannered grandmas to hurl uncontrolled expletives as their feeble bones take 1 g of lateral acceleration. That one. 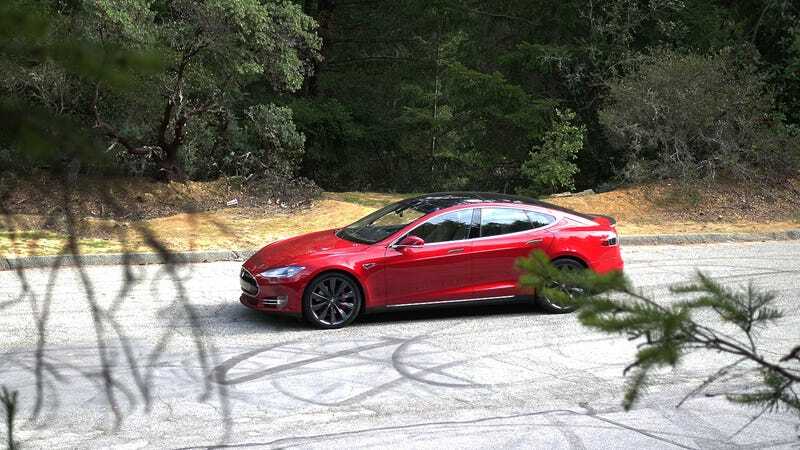 As if you needed any reminder about the P85D's specs, it's the range-topping dual-motor Model S, with a combined 691 horsepower and 687 lb-ft of torque delivering an official 0-60 time of 3.2 seconds. A few things to understand about that number: First, it's the same 0-60 time as the McLaren F1, which was Elon Musk's benchmark. Second, it hits that mark despite weighing nearly a two and a half tons – 1,500 pounds more than the McLaren. Third, it obviously does all that without the maniacal blare of a V12. That last part is what's blowing my mind. Beyond sharing that otherworldly experience with friends, family, neighbors, pets, and random strangers who were about to walk into a Starbucks for a morning caffeine jolt but instead are now curled up on the sidewalk in an adrenaline-fueled stupor, I've got a few other plans. But before that, you probably have some questions. I'm here to answer them.